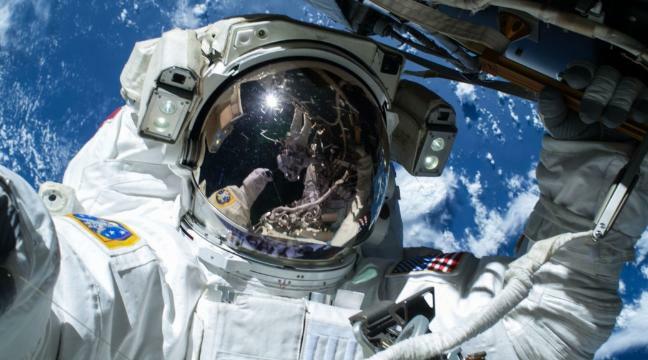 It’s been reported that astronauts on the International Space Station will be going for a spacewalk to carry out some maintenance work which includes doing some window cleaning. I wonder how long it will be before window cleaners start expanding their business into outer space and other Worlds! On the moon perhaps? Ever thought about starting your own carpet cleaning business? Most businesses employ janitors or janitorial services to vacuum their carpets after hours daily, and then “master” carpet cleaners to deep-clean them every three months or so. Homemakers also generally vacuum their carpets perhaps several times a week, and then hope to deep-clean them maybe once every year or two, depending on the kind of household traffic, and of course on their budgets. A carpet cleaning service offers a great opportunity to provide an essential service that caters for both the homeowner and business owner. It doesn’t take any special education, skill or experience to operate a professional-type, deep-cleaning carpet cleaner. However, you do need to project an image of a thoroughly experienced expert in your field. For more details on how you can get started in this business, read the following article for more tips and advice. If you think your local window cleaner is brave when working at height, check out these guys who had a very scary experience dangling from their cradle as it collapsed after one of their scaffold cables became loose. It took over 90 minutes before they were rescued while dangling near the 68th floor of the 104-story skyscraper. Emergency workers had to break through a window to reach the men and help them to safety. When it comes to using cleaning products around the home it can sometimes be tempting to overdo it. Cleaning glass, furniture and laundry items are the three areas where people tend to overuse chemical cleaners. Why is that bad? You might ask. A recent short article published in the Huffington post provides an insight into the reasons and what the results can often lead to. Why it’s bad to overuse: Cleaning expert Jolie Kerr blames overuse on a common mistake, “People tend to spray the surface in need of cleaning rather than the rag, cloth or paper towel they’re using to wipe the surface.” Spray too much and you’re basically pushing dirt and lint around, which leads to nasty streaks. Instead: Spritz the paper towel with your glass cleaner of choice, then wipe down the glass. Why it’s bad to overuse: There is such a thing as caring too much for your beloved wood furniture. Kerr says that by spraying (or buffing with wax) frequently, you can end up creating a build-up. This, in turn, ends up attracting more dust and dirt. Instead: Apply a light mist (or light coat) of furniture polish once a month. Wipe furniture down with microfiber cloths between polishes. Why it’s bad to overuse: We were surprised to learn that we’re only supposed to be using a tablespoon at a time. Pouring excess amounts into the wash can create a film that prevents clothes from actually getting clean. Instead: Use an old tablespoon to measure out just enough product. It takes a special type of window cleaner to be this brave. 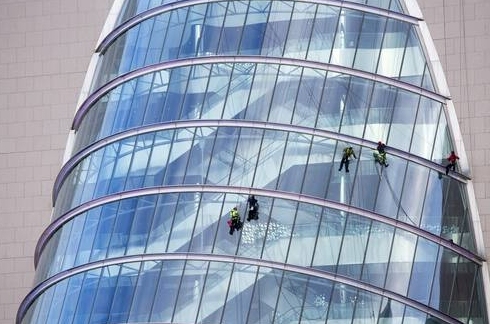 this was a scene photographed at the Convention Centre in Dublin as reported by the Independant Irish News website, describing it as “an adventure in itself, the team of window buffers successfully conquered the mountainous (and glassy) terrain in order to work up a decent shine”. More pictures and the full article and background story can be seen here.